What is an abstract in a dissertation is a question which exasperates the most students concerning the whole project. Pupils have a hard enough time trying to elucidate all the different concepts to illustrate the best dissertation writing services. That now having to find a way to summarise the entire dissertation research method and approach in a few words seems like an intimidating task. Institutes provide guidelines on how to write an abstract for dissertation but the actual contents must be determined by the students themselves. 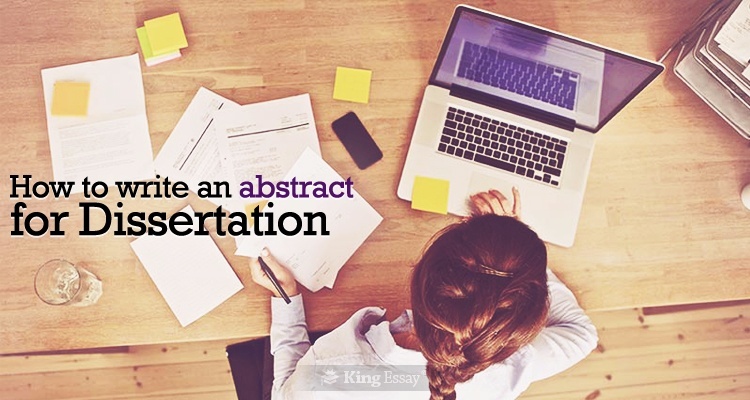 The abstract will be the first thing that a reader reading your dissertation will read. It will also be the last piece of composition that you will compose related to your dissertation or thesis assignment. Students will be assigned the dissertation project once all the other requirements for their final qualifications have been completed. The only thing standing between them and their final qualification will be the dissertation conclusion. Your institute will provide you with a long list of requirements which should be fulfilled by the dissertation. In it you will also find the details of the prerequisites which the abstract should implement. Some institutes will also provide you with an abstract dissertation example, so you can get an idea of what a finished work looks like. Exactly how many words you can use, to the margins which should be set in the abstract, everything will be determined by your institute. All the prerequisites which you will get from your institute will always be configured to maintain best research practices. The average length of an abstract is somewhere from a minimum of 150 words to sometimes a maximum of 750 words. The introduction of the abstract should most often be in the present tense, in some cases it can even be in the simple past tense or present perfect tense. Use the past tense when describing the methods and the materials used in the abstract. Everything in the abstract should be about the major points covered in your dissertation. It should use the appropriate keywords related to the subject of thesis. For example, if it is an abstract for a psychology dissertation it should use the appropriate keywords related to psychology dissertation ideas. This will be the piece of writing which will determine whether the reader will continue reading the entire work. For some students, their institute will decide which sections should be present in an abstract. The rest will have to determine which sections should be there in the abstract. Start by determining which sections of the dissertation are crucial. Try to summarise the concepts and ideas discussed in each one of these sections. Some people like to have a sentence dedicated to each substantial section, sometimes even two sentences. Use the necessary keywords to maintain the emphasis on the subject. Now rephrase the entire work so that the summary of the conclusion is in the beginning and the summary of the introduction lies at the end. Revise the whole production just to make sure that there are no needless mistakes present.